This embroidered long-sleeved top has us dizzy with excitement – although that might just be the irresistible urge to twirl its peplum hem. 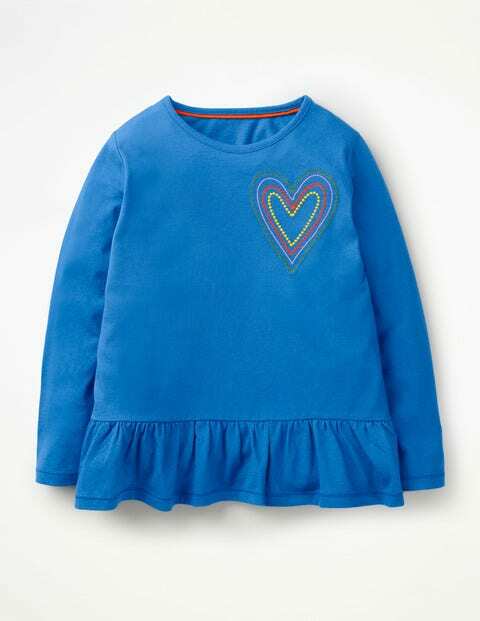 Soft and breathable it's made from sueded cotton and finished with a choice of playful rainbow-stitched designs. Slipping it on adds a tah-dahh-worthy twist to everyday dressing.